Editor’s Note: Dr. Tamara StClaire is vice president of enterprise innovation at GuideWell. 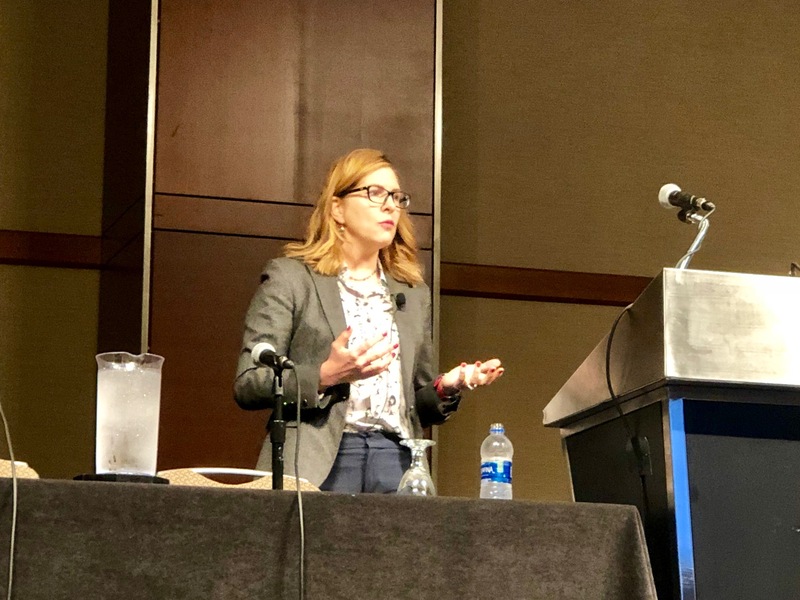 She recently presented this topic as a keynote at the Becker’s Hospital Review Health IT and Revenue Cycle Management conference in Chicago. Some of the biggest and most famous tech companies are making big bets on health care. The blue chips of Silicon Valley have announced they’re interested in disrupting an industry that has bedeviled us with rising costs and inefficiencies for decades. I’d like to explore the why, what and how and leave us with a few thoughtful questions. Let’s peek at the headlines: Amazon is setting up a partnership with JPMorgan Chase and Berkshire Hathaway to create a non-profit healthcare company. Apple is planning a line of (surely sleek and minimalist) medical clinics. Google’s sibling under the umbrella company Alphabet, Verily, is looking at the Medicaid market. Uber wants to disrupt ambulances… and there are many more headlines that pop up almost daily that may be more creative than factual. It may be too early to start imagining a world where health care is truly owned by Big Tech — you order prescription drugs with your Amazon Prime account, see a nurse at the Apple Clinic, get your benefits statements from Google, and call an Uber instead of an ambulance when you need to go to the hospital. But something is happening here. The tech giants see a system rife with administrative inefficiencies, opaque prices, and customer dissatisfaction. In other words, a huge opportunity. Health care is incredibly backward in its use of information and consumer technologies and there are ample opportunities to improve patient care while reducing cost. Healthcare is a $3 trillion+ industry wrought with waste and middlemen. The problems healthcare faces are too big, too important and much too personal to their users for them to ignore. Each tech company is taking its own approach, betting that its core business strengths could be leveraged to ultimately improve people’s health — or at least make health care more efficient. All five firms have secretive health-care skunk works, are hiring medical talent and are buying or backing external health-care startups. And reporters, market research firms, analysts and vendors are spending an undue amount of time speculating as to what’s really going on. Apple is leveraging its consumer products position to play in the healthcare market. Their approach is focused on hardware - using its popular iPhone and Apple Watch to turn its devices into trusted, secure channels through which medical data can flow, to help consumers better track and manage their health. In 2015, Apple introduced new software, called Apple ResearchKit, for health researchers. Out of the gate, Stanford used it to develop an app to enroll volunteers in a heart study. In one day 11,000 people enrolled - more users in 24 hours than most medical studies find in a year. And the researchers were able to collect much more data than they could have otherwise. Millions of people around the world have already joined medical studies using this infrastructure. An app called mPower, built by Sage Bionetworks, studies Parkinson’s disease by getting iPhone users to perform tasks and measuring the tremor in their hands using the phone’s internal accelerometer. The data so far suggest that Apple’s platform may soon enable physicians to spot Parkinson’s digitally before it is symptomatic in a patient. We’ve known Apple to be developing a range of powerful health sensors since before the company introduced Apple Watch. In 2017, CNBC reported that Apple was quietly developing a non-invasive sensor to accurately determine glucose levels through the skin. Such a technology could work in conjunction with Apple's other physical monitoring systems to provide early screening. One could imagine both the phone and the watch to be powerful remote diagnostic platforms of the future. Apple is extending its reach into electronic health record technology. In January Apple announced its iPhone will include a feature called Health Records, which allow users to view, manage and share their medical records. Embedded in Apple’s Health app, the new feature will bring together medical data from participating hospitals and clinics, as well as from the iPhone itself, giving millions of Americans direct digital control of their own health information for the first time. By June more than 500 hospitals were connected to the Health Records app representing 50 health systems. This summer, Apple opened Health Records API to health IT innovators to enable them to create apps that utilize the data. 58% said the EHR data viewer will help to improve interoperability. In February, Apple launched a new subsidiary company tasked with providing healthcare clinics to Apple employees: AC Wellness. The idea makes sense; it can reduce running costs while leveraging the offer for future health insights. These moves mean Apple will have its own sandbox to test and deploy new products and solutions. And there’s plenty of speculation that Apple will eventually extend its new healthcare subsidiary to people outside of Apple. So let’s take inventory: software for medical research, new sensor technology that provides activity data and remote diagnostics, health records, medical clinics and a powerful soft asset – consumer trust. If information is power and the future of medicine is personal, ubiquitous and mobile, Apple should have a front row seat. By securely combining patient health data with sensor-based insight, a person will be empowered to manage and improve their health, and healthcare professionals will be able to access deep collections of related data to help improve treatment and diagnosis. Microsoft, already a major supplier of software and cloud services, has also been ramping up its health business for several years. Between 2013 and 2017 Microsoft filed 73 patents related to healthcare, most of which focused on developing AI and patient monitoring capabilities. The company's work in healthcare has spanned cloud computing, cybersecurity and precision medicine. This year, the company announced an initiative, Healthcare NExT, to create products for medical providers and patients with the goal of accelerating healthcare innovation using artificial intelligence and cloud services. The NExT team is assembled to unlock the innovation potential in healthcare data. In the first strategic partnership for Healthcare NExT, Microsoft worked with the University of Pittsburgh Medical Center to develop digital services intended to reduce drudgery for physicians and improve patients’ experiences. One project involves a virtual assistant that would take notes on conversations between a doctor and a patient, analyze the conversation and then send a summary to the patient’s electronic medical record. The medical center is also pilot-testing an app that notifies doctors when one of their patients has filled a prescription at a U.P.M.C. pharmacy. No other company in the Silicon Valley is investing so heavily in healthcare-related companies as Alphabet’s venture arm does. Since it raised its first fund in 2009, it has backed nearly 60 health-related enterprises. Their portfolio is very diverse ranging from genetics to telemedicine. Some of the more notable investments include 23andme, Oscar Health, and Doctor on Demand. If we look at patents to give us an inside picture, from 2013 to 2017, Alphabet filed 186 related to healthcare, mostly around AI and “smart” operating rooms. In general, Alphabet's healthcare investments and acquisitions tend to be more focused on AI than those of the other tech giants. It seems like a lot of well-placed investments for Alphabet, however, that’s only one side of the story. Verily, formerly Google Life Sciences, was founded in 2015. Their cornerstone is Project Baseline, a longitudinal, data-collecting initiative with 10,000 volunteers, chartered with understanding what makes people healthy. Over the course of four years, in collaboration with Stanford and Duke, researchers will collect genetic data, blood samples, medical images, and other information from the study participants by using Verily’s own unique sensors. Participants will also be asked to use sleep sensors in their beds and to undergo mental health tests. Using data analytics and machine learning, researchers hope to understand health at a deeper level. Google fought off Facebook to acquire DeepMind in 2014; by that time, it was already operating as a successful A.I. platform – a very interesting story in its own right. With regards to healthcare, it is used to mine medical records to provide better and faster health services. Google DeepMind can process hundreds of thousands of medical information within minutes. There’s a 100-person division in London working on projects with the U.K.’s National Health Service. These include a mobile app to alert doctors and nurses to changes in a patient’s condition. The first potentially fatal condition DeepMind built an alert for was acute kidney injury (AKI); the mobile app is called Streams. Another project is trying to determine whether computers can analyze various kinds of medical imagery as well as experienced doctors. In collaboration with London’s Moorfields Eye Hospital, DeepMind is trying to see if AI can read retinal scans as well as resident experts. Research into such data-harvesting and machine learning is in its early phase, but Google appears to have the patience and capital to ride it out. Their aim is to help clinicians provide better, faster and safer care. To round out their strategy, Alphabet has a many notable collaborations – J&J, GSK and Fitbit are just a few. They are also playing in Silicon Valley’s quest for longevity through a company Larry Page formed in 2013 called Calico that is armed with a $1.3B budget. In February CNBC broke the news that Verily was in talks with insurers about jointly bidding for at risk contracts. And they incubated a startup called City Block that focuses on care for low income communities. Amazon has been less public about its plans in health, but its typical playbook is 1/invest in large, upfront fixed costs, 2/bring standardization to messy systems, 3/add transparency and a platform to distribute goods and services. Amazon not only has a robust logistics infrastructure but has net promoter scores that health care vendors would die for. Pharma manufacturing license – allowing them to repackage and sell under its own brand. One other play that is harder to decipher starts with Amazon’s announcement in March to cut its prime membership for Medicaid recipients by over 50% and CNBC’s announcement that it’s been talking potential collaborations with AARP since 2015. Amazon is well positioned to bring products and services into people’s homes – let’s extend it to healthcare. By adding health functionality to the new Echo that sports a camera, Amazon can hope to get coverage from carriers to help manage home care. This year there was job posting for a HIPAA compliance lead for the Alexa team. They are rounding out this scenario with key executive hires from the healthcare industry with expertise in primary care for Medicare patients. Amazon realizes that they could significantly lower the costs of administrative services by solving interoperability. By turning the TPA business into an API layer Amazon can dramatically reduce the cost structure of the activities performed by a TPA. They’re likely to experiment internally first, before opening the services to the rest of the market (per Jacob Alcauskas from Superconductive Health). But what does this all mean? One theory is that Amazon will become an aggregator to create Amazon Healthcare Marketplace for a wholesale disruption of American Healthcare. The platform, after consolidating suppliers, would eventually attract health care providers (doctors, clinics and hospitals), eliminating a number of intermediaries. These are businesses with a proven history of disrupting existing business models - Amazon upended retail shopping by offering an unprecedented level of selection, price transparency, and convenience. But how easy will it actually be? Several of them have made efforts in the past and failed. Google started a health-records initiative in 2008, but shut it down by 2011, citing poor adoption. Microsoft made similar efforts with similarly low take-up. Earlier attempts by Google and Microsoft to offer patients a home for their digital records obliged people to consider whether they trusted the two companies enough; most decided the answer was no. The tech world has a mindset of “move fast and break things”. This works less well when it comes to health care. One could argue that health care isn’t anything like other parts of the economy. It operates in a highly regulatory environment. There are complex interactions between insurers, consumers, and health providers that you really don’t see in other industries. It’s governed by a tangled mix of payers, administrators, providers, and manufacturers. Not to mention the patients, all 330 million of us, who have never proven very good at treating health care like any other commodity. It rarely works for firms, trying to pick up wholesale and move to a new industry. So the complexity, the opacity, the sheer scale — not to mention the existing $3 trillion industry and its many vested players, who aren’t going to stand idly by while the tech wunderkinds supplant them — are standing in Silicon Valley’s way. All this activity is certainly worth watching. Because if any industry is in dire need of disruption, it’s American health care. At this juncture, how do we feel about the tech giants coming for healthcare? For me as a health plan, I feel challenged, a consumer excited and a patient hopeful. At GuideWell we’ve responded by truly putting the patient at the center and are approaching our solutions with a view of consumerism and a center of excellence charged with inculcating the consumer experience throughout our culture. How does it make you feel?